Well, I don’t know about you, but we have officially begun our March/Spring Break! Next Thursday is Valentine's Day! This weekend will determine if we have 6 more weeks of winter or an early spring. Which do you think it will be? If there is one thing my boys enjoy doing is making slime!! We have tried about 5 different recipes and have made many different types of slime but I have to say that this is my favourite! First thing you need to is pour the bottle of glue into a dish (I like using glass so it doesn't stick). Add desired colour of food colouring. Then, SLOWLY.... add the tide until you see the two combine and form into a solid. I used the same ratio glue to detergent. Then add the google eyes to make Halloween Spooky Monster Slime! 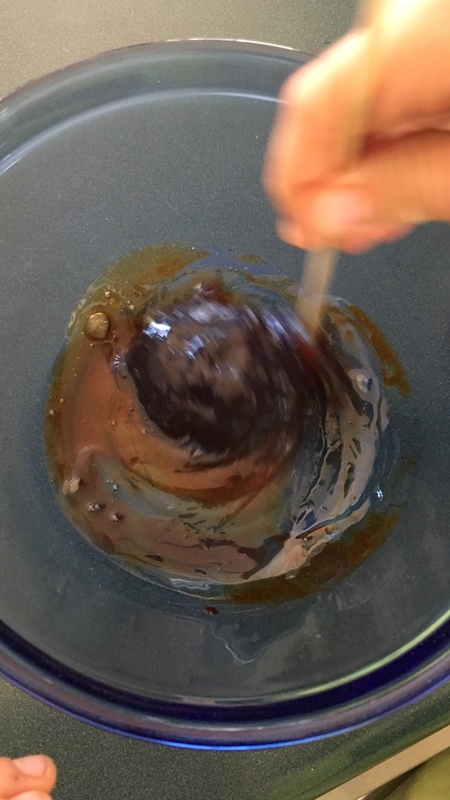 Mix the slime around in the bowl first and then once it's solid, bring it out onto the counter or the table so that you can play with it! My boys played with it for hours and hours! We stored it in a ziploc bag and brought it out again but I would only say it lasts a week. We are an award-winning Canadian subscription box company whose mission is to help families enjoy quality time. Inspire your child's curiosity and creativity by ordering fun and conveniently packaged themed craft and activity boxes, delivered right to your door. Sign up and receive exclusive discounts, printables and resources for great family fun! We respect your privacy. Your information stays with us and will not be given to any third party. You can unsubscribe at any time.